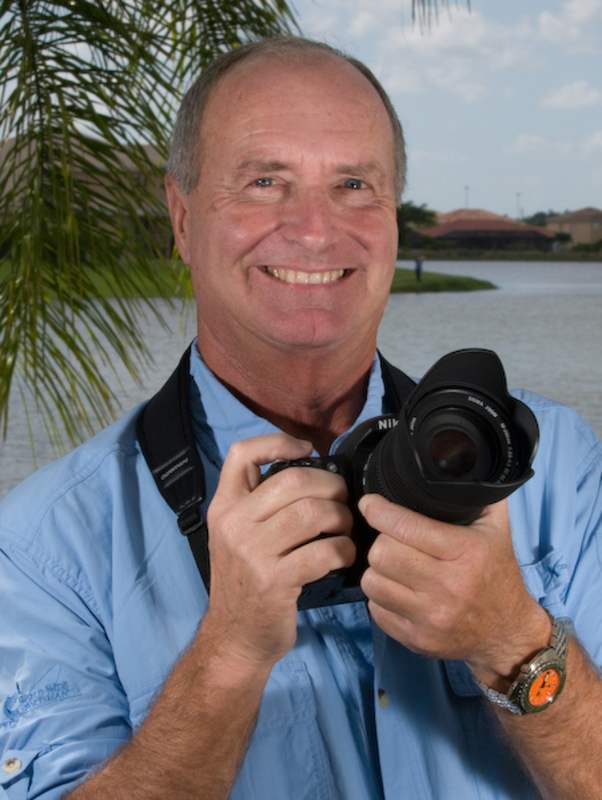 He began a career as a professional underwater photographer and photojournalist in 1980. Steve wrote 22 Dive Travel Guides for international publishers including Lonely Planet, Cruising Guides and Aqua Quest Publications. He produced hundreds of articles for various U.S. and International publications. Steve created and operated a retail Scuba Diving trade show, in Oakland, California. Under his direction, Seaviews quickly became one of the largest and most successful scuba shows in the United States. Thousands of his images have appeared in books and magazines worldwide, and he received more than 250 awards for his photography in International Competitions. Steve received a gold medal in the prestigious Hans Hass Photo Competition in Austria. He also took the Gold medal in the First World UW Photography Competition held in the Turks and Caicos Islands. In 1996, Steve received the coveted Scuba Schools International SSI Platinum Pro 5000 certification, awarded to divers with 5000 logged dives. He is an active member of the Society of American Travel Writers (SATW) and the North American Travel Journalists Association (NATJA). In 2013, Steve assembled a new team of professionals to produce interactive electronic books, eBooks, focusing on international scuba travel. The name of his new company is Rosenberg eBooks. These comprehensive Dive Travel Guides are also powerful marketing tools for scuba destinations, dive resorts and live-aboard dive yachts. The team includes Coral Consulting, owned by Greg Bassett. To date, four comprehensive dive and travel guides have been published and more are in the works. The most recent guide, Dive and Travel Galapagos, was released in 2017. Dive and Travel Galapagos provides a complete guide to dive sites in the Galapagos Islands, and includes comprehensive information on land tours, wildlife and travel basics. Steve is currently working on new projects including Dive and Travel the Bay Islands of Honduras, which he is co-authoring with Sandy Sondrol. Greg Bassett fell in love with diving in the early 1980’s during a trip to Hawaii. After moving to the San Francisco bay area shortly thereafter, he and his wife joined the Underwater Photographic Society of Northern California. During that time, he met Steve and many other excellent photographers. His life-long career is as an IT Specialist. A career move took him to Switzerland in 1997. In 2010, Greg joined Steve on an Indonesia dive trip to help with a marketing project. When Steve started producing eBooks in 2013, he asked Greg if he might be interested in joining forces. Greg’s experience with diving, video, and all things IT was (and is) an excellent match with Steve’s photography and writing. Greg has been instrumental in including new technologies like social media marketing and the embedded videos. Sandy Sondrol has joined our team as a writer/photographer. 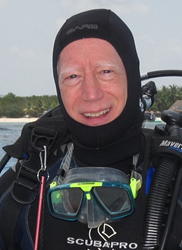 He has been actively involved in the dive industry since 1994. During the first ten years of his dive career, he was an instructor, dive guide and dive boat captain for Bob Soto’s Diving on Grand Cayman. He received a captain’s license for U S 500 ton vessels. He later joined Nekton live-aboards, as a marketing exec and a substitute live-aboard captain. Dive Chronicles magazine next lured him into dive journalism as an associate publisher, auther and photographer. He then helped create five regional scuba trade shows in the USA. As a partner in the dive marketing firm “World’s Best Dives”, he promoted international dive resorts and dive operations. Sandy now works as a freelance writer and photographer. 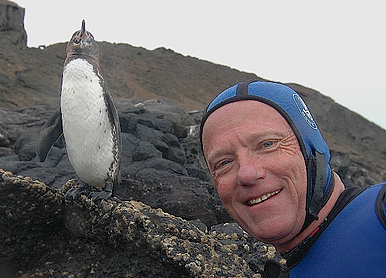 His articles have been published in Alert Diver, Scuba Diving, Sport Diver, and Dive News Group. His assignments have taken him to many South Pacific destinations Sipadan, Malaysia, the Philippines, and Indonesia. He has also covered Belize, the Red Sea/Egypt, the Cayman Islands, Roatán, Honduras, Mexico and Curacao. He currently teaches week-long underwater photo seminars at popular scuba destinations.